Wheeler Childcare and preschool is a ministry of Wheeler United Methodist Church and has been for many decades. It is a state licensed, accredited facility available for children ages infant (6 weeks) through 5 years of age. The preschool is designed to provide a Christian Education to the children with a lesson on Tuesdays and Thursdays and Chapel with the pastor of the church on Wednesdays. Before and after-school programming is available for school age children (kindergarden-5th grade). The center is conveniently located next door to Holston Elementary School. The Hours of operation are year round from 7:00am - 6pm (Monday-Friday). The center offers trained and experienced staff who are passionate and enthusiastic about the children they serve. 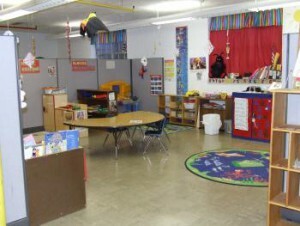 Wheeler Childcare is governed by a Board of Directors that meets monthly. To schedule a tour or to set an appointment, give us a call.